GDP numbers tell a fantastic story of India's economic resilience in which the country’s politics has turned farcical. The ‘my GDP growth versus your GDP growth’ camps from the BJP and the Congress should recall what the Indian government and the Indian watchers were worried about between 2006 and 2010 — the period during which India’s GDP grew the fastest in its history. From the board rooms of global investors to the news rooms of media houses, everyone was concerned over whether India’s GDP growth was overheating! Amusingly, the new GDP data shows this was the very time under the UPA government during which the Indian economy did not grow at a blazing pace. "India's curries can be even hotter than the fieriest of Chinese hotpots; likewise the temperature of the two economies. Despite widespread claims that China's economy is overheating, actually India's shows more signs of boiling over," wrote The Economist in November 2006. Beyond the politics over the so-called GDP data manoeuvring, the economic history of 2005-07 and 2010-11 tells us a fantastic story of India's economic turnaround, resilience and fervour, on which Indian politics has now turned farcical. On the back of a surge in the stock market, real estate boom, high capacity utilisation in industry, rising inflation and global takeovers by Indian companies (Tata-Corus), the above 9 per cent economic growth was not at all a reason to rejoice for the then UPA government. The UPA government was concerned with the galloping growth rate to the extent that between January 2006 and 2007, the Reserve Bank of India (RBI) had raised interest rate by one and a half percentage points to 7.75 per cent, leading to a 10 per cent rise in rupee's value against the US dollar during the third quarter of 2006-07. On the other hand, BJP left no stones unturned to claim credit for the exponential growth of the last decade, saying it was the direct result of structural reforms introduced by the Atal Bihari Vajpayee government. 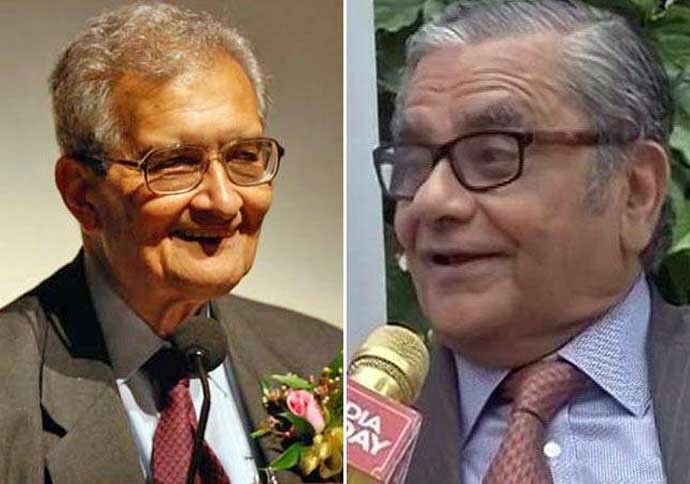 In fact, the famous Amartya Sen-Jagdish Bhagwati debate in 2013 started with India's rapid growth in early 2000. Bhagwati with Arvind Panagariya, former NITI Aayog chaiman under Modi government, argued that only a strong focus on growth can yield enough resources for investing in social infrastructure, while Sen believed that in order to grow faster, India should invest more in its social infrastructure. With the revised GDP data, both Congress and BJP stand exposed in the politics of economy. Now let's try to find out what the GDP data of the last 14 years tells us about the unprecedented resilience of Indian economy. Whatever GDP data set one may follow, over the last two decades, India has turned out to be a shining story of economic endurance against all odds. As it happened during UPA-I, India grew faster than the rest of the world. When the global growth faltered in 2008 post the Lehman Brothers collapse, India bounced back in just one year and registered an impressive growth of 8 or 10 per cent (as per varied data sets). What should worry us more is the fact that after a lull in 2017, the world has grown faster both in economic and trade terms. Global output is estimated to have grown by 3.7 per cent in 2017, which is 0.1 percentage point faster than projected earlier and 0.5 percentage points higher than in 2016, as per IMF. World trade has also grown 4.7 per cent in 2017 as per World Trade Organisation estimates. However, India couldn't touch even the 8 per cent mark let alone the double-digit acceleration. Comprehensive growth rate of 6 to 7 per cent is no longer a major challenge for Indian economy. India is required to focus on growth of dozens of small and big economies (regions, states, cities) which are within its geography to sustain high growth trajectory. 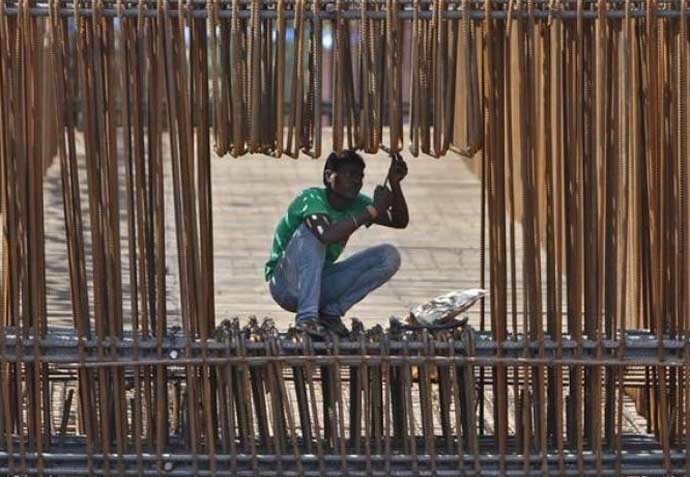 With new GDP series, India’s growth story turns murkier. In the last 14 years, there wasn't a single year with 9 per cent-plus growth. In fact, a lowly 7 per cent is the new normal while growth dipped below 7 per cent for as many as five years between fiscal year 2005-06 and 2017-18. The new data set manifests that to end poverty and the low income trap, India just cannot afford to grow at an average rate of 6-7 per cent. The economy has to grow at an average of 10 per cent for over a decade with few years of even touching 12 to 14 per cent. This trajectory is not possible without continuous structural reform, aggressive liberalisation, increase in competition and minimum government. Will our leaders ever learn that economic stats are not orphans, and they have their past and future? These figures do not reflect politics, but the indomitable spirit of the country. The new and old GDP data series of highly volatile period (2004-2018) of political corruption, global upheavals and economic vagaries confirm that India knows how to grab opportunities and keep growing despite its retrograde political culture. The moot question is whether our politics can deliver us a double-digit growth in the near future or are we destined to live with medium growth and low incomes for a long time to come. Also read: Is the RBI hoarding too much money in its reserves?